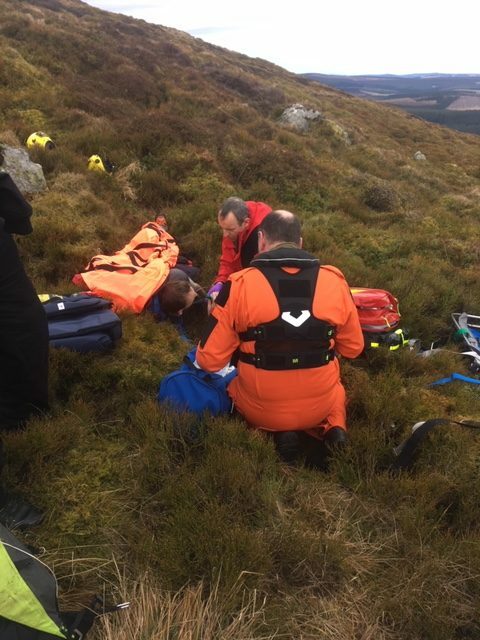 A paraglider pilot was airlifted to hospital with a suspected broken leg after crashing into a hillside in Aberdeenshire. The incident took place shortly before 10.30am on yesterday at the Tap O’ Noth near Rhynie. A 26-year-old man reportedly got caught in a gust of wind which blew him off course and he crashed into the hillside. The injured paraglider on the hill side. An emergency beacon was activated and picked up thousands of miles away in Houston, Texas, and local police were alerted. 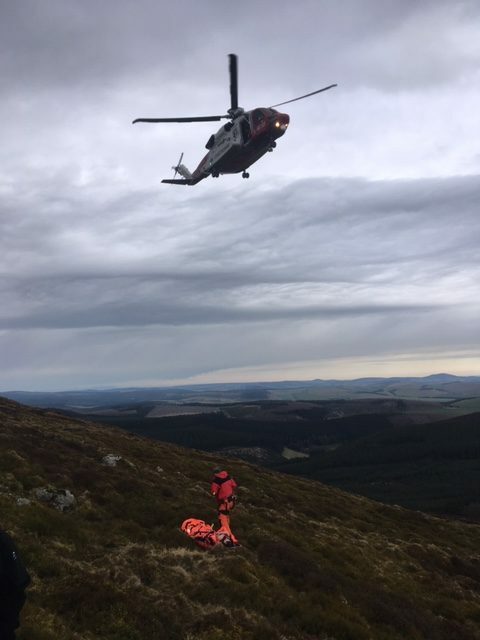 Officers from Huntly and Alford attended the site and a coastguard helicopter was subsequently called to the scene. The injured man was airlifted to hospital where he was treated for a suspected broken leg. Yesterday, the Aberdeen Hang Gliding and Paragliding Club (AHGPC) said it would file an incident report to its parent organisation. Bob Dunthorn, the AHGPC ‘s chief training officer, said: “Paragliding is one of the more adventurous forms of aviation. “There are accidents throughout the world on a weekly, if not a daily, basis with some more serious than others. “Thankfully, by all accounts, the pilot has not been as seriously injured as he might have been, so the report will be an internal one which will be submitted to the British Hang Gliding and Paragliding Association. Rescue teams attending to the paraglider. The Tap O’ Noth is about 20 miles west of Inverurie and is a popular spot for hill walkers in the north east. It is the site of the second highest fort in Scotland, a well-preserved Iron Age settlement which is about 50 acres in size and enclosed by a stone rampart. 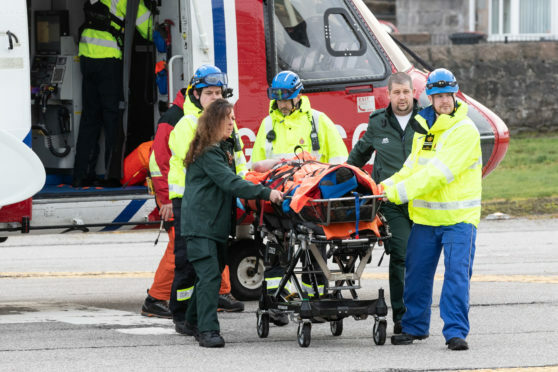 A spokesman for the police said: “About 1025 hours on Saturday 2nd March, police officers from Huntly and Alford attended at the Tap of North, Ryhnie, regarding the report of a paraglider having crashed into the hillside there. Anyone with information on the crash should contact police on 101.